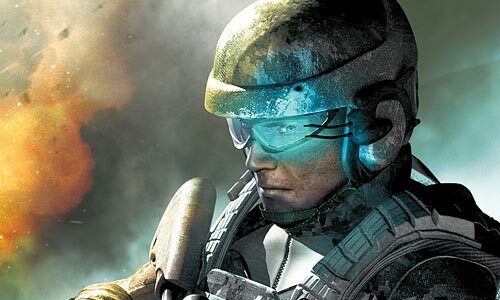 In Tom Clancy’s Ghost Recon, you and your team conduct extensive missions on foot, but you’ll occasionally have assistance from troops in tanks, helicopters and close air support. In many cases, you’ll be working with international military forces and NATO to fight against rising dictators and rebel groups. Be prepared to scope out the defences of an enemy, blow up bridges to stop an advance, raid rebel bases, and rescue an American pilot who gets shot down deep in enemy territory. The Ghosts are also the guinea pig squad for testing the Army’s latest and greatest equipment and weaponry while under fire. You’ll have access to the latest weapons such as an M-16 assault rifle with a grenade launcher mounted underneath. Or, you could be responsible for the M-136 Anti-Tank Rocket that you’ll carry on your back. Firepower this intense would knock a normal soldier off his feet in a second. For you it’s just another day, just another job.